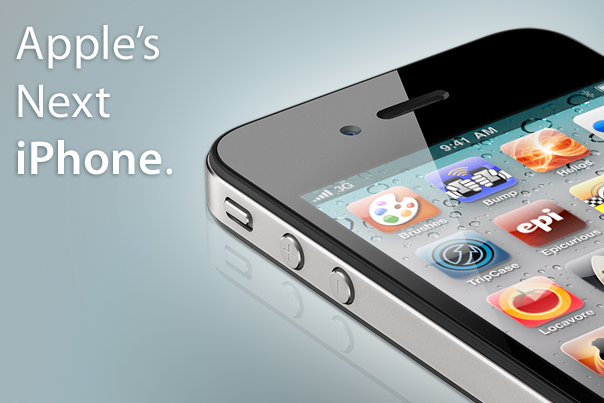 Darrell: A 4-inch iPhone would make plenty of sense if Apple were just about any other phone manufacturers out there. We’ve seen competing Android device-makers ramp up the screen size arms race with predictable regularity. Apple, on the other hand, went for better screen quality rather than an increase in viewing area with the introduction of the Retina Display. The Retina differentiates, while a larger screen just says, “me too!” I think Apple will focus on making screen quality even better (color gamut, viewing angle, brightness/backlighting etc.) and keep any size increases very small (if indeed it changes this at all), to maintain the existing iPhone’s form factor. Kevin: Yup, Apple went for better screen quality and the key word is “went,” because the 960×640 Retina Display is now eight months old. Since then, the high-end smartphone market has quickly changed: we’ve gone from a few, outlier, large-screened Android devices to 4-inch phones being the accepted minimum for this device class. Every highly-touted phone from last month’s CES, for example, used a larger display — and several offer a new qHD resolution, or 960×540, which to most folks will look nearly as good, if not as good, as an iPhone 4. You make a good point about maintaining the iPhone’s form factor, but to be honest, the larger Android devices I’ve been reviewing or using aren’t that much bigger than the iPhone. We’re talking about 2 millimeters here or there at most. An edge-to-edge screen and/or dropping the hardware home button opens up larger display possibilities. But that may not matter; it sounds like you don’t see value added by larger screen. Would that be a fair statement? Darrell: That’s definitely fair. To me, talking about screen size is just another facet of the specs discussion; it’s understandable that device-makers do it, because that’s long been the way we talk about computers, but ultimately it doesn’t mean anything to the average phone-buyer these days. I’d be willing to bet quite a lot of money that the average smartphone owner has no idea exactly what size the device’s screen is, and think about it at most once or twice, and even then only when first weighing their purchase. Apple knows this, and that’s why its ads and events focus much more on device features and actual usage in real-world scenarios than on an exhaustive list of numbers and specs. A larger screen might add to the next iPhone’s perceived value, but not significantly enough that I think Apple would go out of its way to make big changes in that area with this iteration. Instead, it’ll introduce something amazing the new iPhone can do, while keeping the outside look the same. Kevin: True, the device screen size is just another spec, and many folks probably don’t know what the exact screen size is of their current phone. And I completely agree that Apple focuses on the actual usage experience for their devices; that’s why I think this is a real possibility. Larger screen devices — without much larger form factors, I might add — can provide a better user experience for many: Text is larger as is the software keyboard, for example, as is the media experience, especially as smartphones can play back higher-resolution video. Think of it as moving from a 32- to a 40-inch HDTV set, only on a smaller scale. It’s not really about the screen size, or even about “keeping up with the Androids;” it’s about the improved experience that such a change can bring, and that’s not something you can see from a spec sheet. Think back to your recent experience using Samsung’s Galaxy Tab [I returned the Tab after a week of use because of UI issues, but loved the size – Darrell]: The 7-inch size brought additional portability that the iPad didn’t, which is something no spec sheet can tell you. Moving to a 4-inch display can make a great experience even better, and that extra half-inch of screen won’t even affect the Retina Display marketing term that much: 960×640 on 4-inches is still a very high 288 ppi, which is far higher than that of the iPad. Darrell: I’ll concede the point about the iPad and Tab, but tablets and phones are very different things, and people have different expectations of each. I think Apple is in the sweet spot with phone size with the iPhone 4 (except maybe for thickness, since thinner pocket presence is always appreciated). Apple didn’t choose to keep the screen size the same on the iPhone 4 as it was on the 3GS because it couldn’t create a larger screen for a similar price; it did it because that’s the size it thinks is best for smartphones. Apple could make room for the larger screen by removing the button, as you’ve suggested in the past, and still keep the device the same size, but I don’t think they will. Consumers aren’t ready for a buttonless device, at least not with the alternatives currently available. And while the experience of using the device may be better on a slightly larger screen (though I’ve yet to come across a device screen that looks anywhere near as good, 4-inch or otherwise), I still think Apple won’t introduce the 4-inch screen with the next release, simply because they don’t have to. Keeping the same screen simplifies production, saves costs and encourages healthier margins, the benefits of which far exceed any risk the company might incur by not moving to a larger display, since it’s not something users seem to be clamoring for. Think about how much more Apple has to gain from improving its notification systems, for example, or adding live widgets to the lock screen. Provide either of those and you’ll generate more press, and subsequently, sales than you’d ever get with a slightly larger physical viewing area. Put simply, Apple will invest where it stands the chance of seeing the greatest return, and incurs the fewest additional costs. I’ll even grant that at 288 ppi, a 4-inch retina display would be higher than the human eye can distinguish (287 ppi, according to retinal neuroscientist Bryan Jones), so it would still carry the same benefits as the 3.5-inch screen. Even despite that, I think Apple will stick with a smaller screen for at least one more generation, frankly just because it knows it can. Kevin: All good points from a business and economics standpoint. If Apple can continue to provide a premium brand experience while reducing costs, it’s likely to do so. But if that’s the case, then what exactly will be the big deal about the next iPhone, i.e. : where can it advance the hardware? One could argue that the new device will be 4G-capable, so a faster HSPA+/LTE experience could be the “big reason” that folks will want to upgrade to the next iPhone. But that requires something beyond Apple’s control, namely that carriers quickly expand their mobile broadband capabilities. And if nothing else, “control” is one the top ways I’d describe Apple. It’s far more likely to me that the next iPhone has a noticeable upgrade in an area that Apple can control, and a larger screen is certainly one area where it can, especially when Apple is said to have made a massive multi-billion component investment. Flash memory is one possible component hedge, but given how many handsets are using larger displays, if Apple wants in on the 4-inch screen game, it may have to make that bet now. Which side are you on? Continue the debate in the comments, as I’m sure Kevin and I have only just begun to scratch the surface. Darrell, i agree with you about keeping any size increases very small to maintain the iPhone’s form factor. Kevin, larger display can provide a better user experience but for my opinion Apple wont do it, cuz the iPhone become more than product to users the iPhone became an ICON. 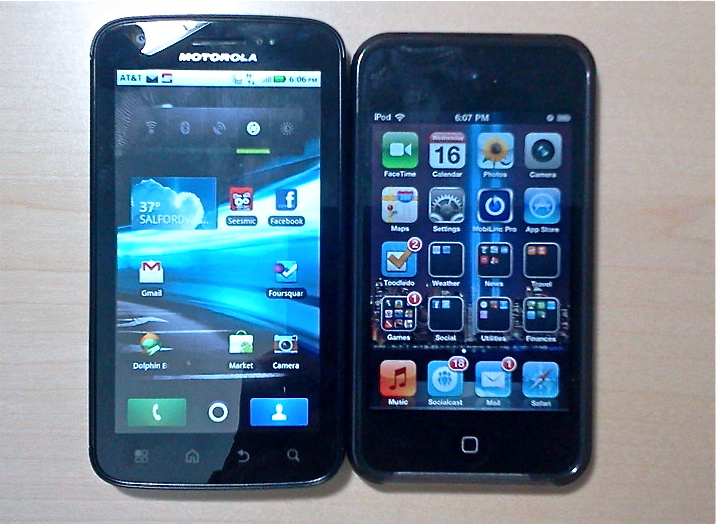 Recently, I have used friends’ phones that have 4″-4″+ screens and really loved the larger screen. Sure, the iPhone 4’s retina display is nice, but the screen and the phone seem too small. Even though the picture is sharper when it’s smaller, how many times do you increase the size of some web videos? What everybody is missing is that thereâ€™s in not going to be any physical buttons so, by eliminating buttons you are going to have a bigger screen with out compromising the devise portability. I should also add that “…what consumers want…” is a unreasonably broad generalization due to the fact that there are a FEW MILLION OF THEM and they’re not you. If everyone wanted the same device there would be a single manufacturer making a single model. Instead there’s a big, long list and that’s not even counting the bazillion or so that aren’t smart phones. Obviously, then, “…what consumers what…” is an entirely meaningless statement. I have an iPhone 4 and a couple of devices with 4″ screens and the size is totally immaterial. What Apple needs to improve upon is the feel of the phone. The other, slightly larger devices don’t weigh that much less but they do have less heft to them. That the iPhone feels like a cold brick in the hand doesn’t help, also. It feels like it weighs a ton compared to other devices even though the difference really isn’t that great. If Apple can make the thing feel like something you’d want to hold, the “debate” over screen size will disappear. What about people with smaller hands? How does the 4 inch size work for them? Can they still use the phone with one hand like the current size allows? I have small hands and think that the larger size would be worse for me. However, I could see how someone with large hands would find the current size too small. I’m 5’5″ with relatively small hands. Not a problem for me – even one handed use is fine. I used this website: http://iPhoneUnlockWizard.com and i managed to unlock and jailbreak my iPhone quite fast! I got some other free stuff! you can try it too if you want! I don’t see them just stretching the iPhone to a larger size. Consumers want smaller, not larger. If every big Android phone had a 3.5 inch version sitting right next to it in the store, most people would buy the smaller one. However, let’s say the rumor is true, and iPhone 5 spec sheet says the display is 4 inches diagonal. That doesn’t mean the phone has to get bigger. iPhone is already 4 inches diagonal, but the screen does not take up the whole face. If you replace the top and bottom face of the iPhone with more pixels, you would have a 4-inch diagonal screen but the phone would be the same size, and the apps could run at the same size, but they wouldn’t take up the whole screen, leaving the bottom to show either the home button or multitasking bar, and the top could show notifications. With all the double-tapping of the home button, a soft button might be better. With the multitasking bar and orientation lock, iPhone has more than just a home button now. They can build around the app view all they want without messing with developers. And a space for notifications is better than pop-ups. Apple aren’t changing the size of the screen. If they did, it would break more or less every app in the app store, since they’re designed for this one screen size. The varying screen sizes on Android phones has been one of Jobs’ biggest arguments against that platform, and Apple isn’t going to fragment its own platform that way. It wouldn’t break them at all since the resolution will remain the same. Everything will just look a bit bigger, which is a good thing. I also agree with a commenter above. This gives a reason for a 3″ iPhone nano to exist. Of coure there would be other reasons for it to exist as well, but this can only make it clear for those who’d like a smaller screen over a bigger one, or the other way around. Why don’t they make it 4 inches and call it an iPad Nano!! I’m not buying something larger than the existing iPhone 4. 4 inches or 3.9 inches.. im not buying something larger than the existing one!! Apple and their fanbois and fangirls can rationalize the 3.5″ iphone until the cows come home. But it won’t change the mind of the buyers in the end. Anything of use that justifies having a smartphone is easier and more useful on a 4.0″ or a 4.3″ display. Up until last week, when a potential iPhone buyer walked into AT & T or the Apple store the only thing they saw was a 3.5″ iphone. Now if that same potential buyer walks into a Verizon store to buy that phone, he/she is going to be exposed to all sizes of phones. And an awful lot of them are going to be amazed how much the extra screen size improves typing, reading, viewing, texting, surfing…just the overall general experience. For people with really small hands, 4.3″ might be a stretch. 4.0″ over 3.5″ is pretty nominal. They sell 4-inch Android phones at AT&T, it’s just that nobody buys them. They even sell the Dell 5-inch T-bone Steak. Verizon iPhone is not the first Apple/Android showdown. People have been passing on 4 inch phones at AT&T and over 100 other carriers worldwide as they bought iPhone in record numbers. iPhone has more pixels, it is showing more information than any other phone, even 4 or 5 inch phones. If you hold iPhone a few centimeters closer, then voila you have a 4 inch iPhone. One that still fits in your 3.5 inch pocket. Apple is looking at usability and big is not always better for certain user segments. Look at flip video recorders and you see that women love it because it’s small. As for the economics behind keeping the screen size small, one could argue that prices will continue to fall and margins will not be hurt. I agree that iphone5 will carry much needed enhancements for notifications and other features. The min for a useful smartphone now is 4″. Iphones now look like small toys next to the current smartphone standards. And heres hoping apple pays attention to the phone for the first time for iphone 5. iphone is known as the worst sounding smartphone you can buy. Apple seems to have forgotten the thing is a phone. This is getting way too big! You guys are too young to realize that once you hit your forties you lose your close vision. For the large population of oldsters, most who are just learning about smart phones, that extra bit of size can make a real difference. It also opens up a reason for the more compact iPhone nano to exist. I’ll definitely switch from my Samsung Galaxy Once the 4″ iPhone comes out. I really feel this phone was made for geeks who love playing with their phones (and likely themselves) instead of just using the device as a convenience. The sharpness of iPhone’s screen is more important to vision than size of the screen. An iPhone 4 is sharp even if you have 20/20 vision. Android was specifically made by geeks who love playing with their phones, for geeks who love playing with their phones. Most iPhone users expect to accomplish things with it, they buy it for the apps. My roommate is the furthest thing from a geek, and he just used the Lose It! app on iPhone 4 to lose 25 kilos. And his eyes are terrible. Hmmm. Not a single mention of legibility, usability or usefulness. Once the iFad blows over, the real race will be on for devices that are actually useful. You’re saying an iPhone is not legible, usable, or useful? It has the highest-resolution display ever shipped on a consumer device, with higher resolution than a photographic print, and Mac typography (legible), it is the easiest smartphone to learn and use (usable), and it has 350,000 apps (useful)? What is it that you want it to do that it doesn’t do? iPhone 5 will be 4″. All the Android manufacturers going 4″-4.3″ is not just a coincidence. It’s because it’s easier to consume content on a larger screen. Everything is better on a larger screen. Sure it might create small inconvinience because of its size, but the benefits far outweigh the drawbacks. I’m actually surprised they didn’t go with 4″ with iPhone 4, as soon as they increased the resolution. Who cares about the iPhone, its really outdated next to Android. I am with Darrell on this one. I am absolutely satisfied with my iPhone’s screen size – any larger and it becomes more of a burden in terms of portability – it’ll be a bigger lump in your pocket, bigger in the hand. I just don’t see the benefits in increasing the screen by half an inch – they have indeed hit a sweet spot. Apple will continue to invest in the things that matter to the ‘majority’ of consumers, and that is usability and OS features. If the screen gets any bigger, it will not have a substantial effect on the overall width of the device. It would obsolete lots of accessories and affect the pocketability of the device. Given the same volume, a thick object will fit better than a wide one. Consider cigarette packs, like the inconvenient 10+10 format frequently used in Canada, compared to 7+6+7, used elsewhere. That edge-to-edge screen could be a major liability with side impact, but then we’re talking about a phone that’s basically encased in glass. Why the backside can’t be grippy, I don’t know, but these delicate features are worth considering when they stick you with that two year lock-in. why not have both and use the smaller screen as this new, cheaper model thats rumored to appear? The 4+ inch phones already available look comical in most people’s hands. That form factor is for power users, not the masses. David, you know I totally respect your opinion, but I have to disagree with your comment. I’m staring right now at an iPod touch 4th gen (I don’t have a new iPhone) next to a Motorola Atrix with 4″ screen. I can post pics if you want, but upon first glance, these look to be nearly the same size. Seriously. I think you’ve seen folks with some 4.3″ devices that need room for hardware buttons which may be influencing your statement. I’m not suggesting that everyone should want a 4″ iPhone by any means, but I don’t think your comment is a fair evaluation of the comparison. Lukas, here’s a quick shot I took last night of the Atrix (4″ screen) and iPod touch 4th gen (3.5″ screen). I think it’s harder for us guys to appreciate small differences in weight and screen size. I’ve always felt Apple’s products were designed for women first, since they are more likely to appreciate smaller, thinner and lighter gadgets.